A beautiful German words to describe feeling of having solitude, being alone and connected to nature. Sometimes, all we want when we decide to embark on a journey into the unknown is having deep reconnection with the mother nature. To be away from any worldly business and just enjoying the rare solitude. Having the luxury of free time from external pressures; all the deadlines and expectation. To have the chance of absorbing all the beauty of nature without the need of impressing people in social media. And embarking on Komodo trip definitely is what you need if you are looking for a communal or solitary solitude. Imagine the jagged, deserted hills that just rose from aquamarine ocean. No civilisation and human hands to disturb the natural setting. Imagine travelling back in time, exploring the Jurassic-looking lands. With no wifi signals, brick, and roads, the untouched landscape of Komodo serves perfect for some splendid isolation. This tiny little islands sits right in the front go Flores’s beautiful hills, one of the must-visit list on many trip to Komodo. During the dry season, Kelor get strikingly beautiful. The hills turn into crips brown and yellowish savannah, standing in contrast with the glowing white beach and deep turquoise water. It’s like a scene from tastefully-edited wallpaper that makes you want to stay there forever. Kanawa island is one of few island around Komodo with a touch of human civilization. This lovely little green paradise features phenomenal coral reefs which circle the island and strikingly clear shores with starfishes and sea urchins lying around. Kanawa lets out chill vibes that’s perfect for some downtime after all the hikes and dives. A number of beach huts and small bars has begun selling snacks, beers, and cold beverages. It’s time to grab some drinks and cool down. When you have the time, we highly recommend you to include the wondrous Wae Rebo village in the mainland Flores in your Komodo trip. Sits in top of Porocoko Mountain, this atmosphere of this traditional village is thick with spirituality and strong ties to nature. Thin haze hangs all around the village, creating the famous epithet—“A town above the clouds”. 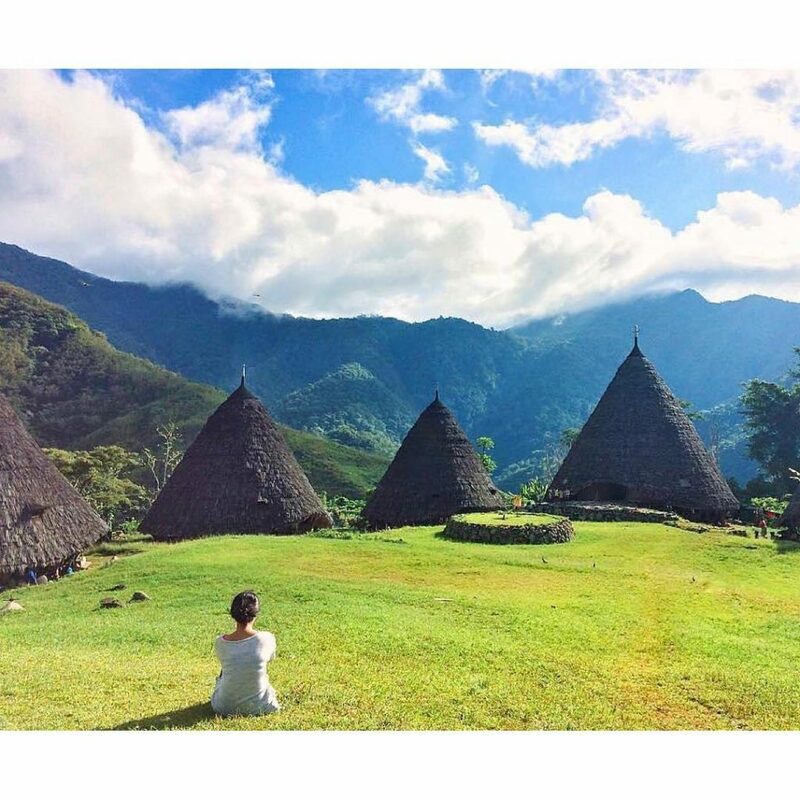 If Wae Rebo cannot bring you a sense of tranquility and blissful seclusion, we don’t know what else. After all those Komodo trip to the unknown places, your own Komodo boat can be the last—and the first—perfect place for peaceful solitary moment. Le down in one of the deck’s lounger. Head to your private balcony. Find the comfiest spot for your personal space. It’s time to unwind everything and let it disperse in the blowing wind as you are staring to the endless sea. Isn’t it the best?